When I bought my brown rice protein powder I was so excited that I can still have my post workout protein shake in a vegan way. Well, you know that MEME about expectations and reality, don't you? Although I saw like 500 feedbacks about the horrible taste of the brown rice protein I couldn't believe that it could be so awful or so hard to disguise with decent dose of fruits, for example. So, I purchased it anyway. And I found out that I was wrong! So wrong! There is no combination of fruits, veggies, nut butters or so that could make me drink this thing. There is no way on Earth (if you find one, please let me know). Thus I was left with this huge bag of brown rice protein and since I couldn't drink it I decided to eat it. That’s how I came up with this recipe. As usual it’s simple, easy to make and so delicious. And the most important, you can't tell that there is a brown rice protein inside. For me that’s a win-win situation! Mash the dates into a blender or a food processor until smooth. Place all of the ingredients in a bowl (except the chocolate) and start to mix the ingredients with your hands, until you have sticky dough. Roll a small ball of the dough, then place it on a baking paper and press it with your fingers to form a biscuit. You should make around 8-10 cookies out of it. When you are done, place the cookies in the freezer (with the baking paper underneath them) for a couple of hours or overnight. 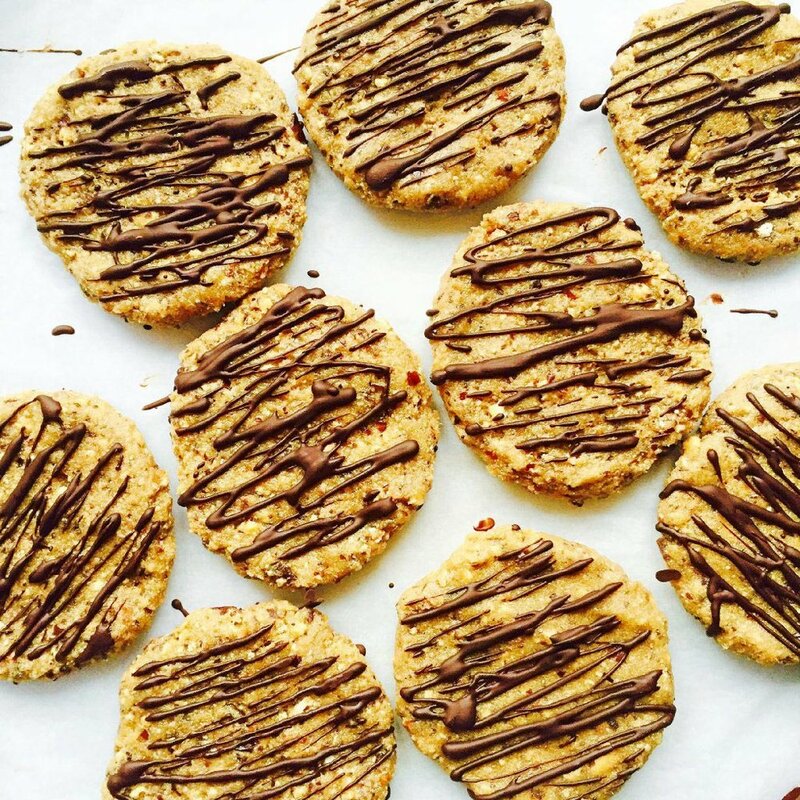 Melt your chocolate (make sure it’s vegan) and sprinkle it on the top of the cookies. Remember to decorate the cookies right after you remove them of the freezer. The chocolate will harden faster while they are still cold. When you are done, wrap your cookies separately and store them in the freezer. Keep in mind that they’ll remain soft and sticky. And that’s it! 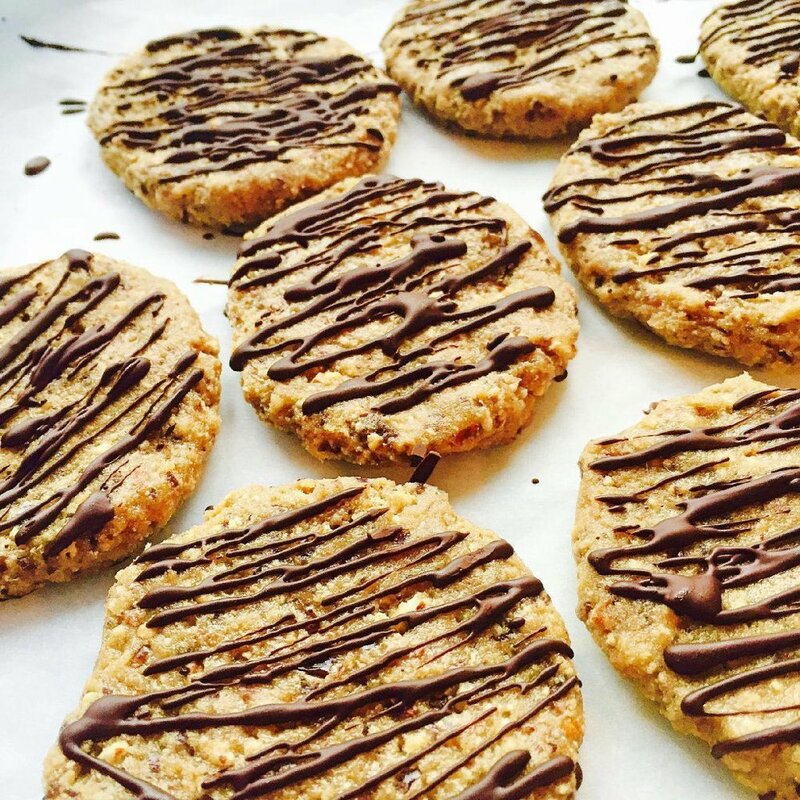 You just made yourself Brown Rice Protein Chocolate-Chip Cookies!